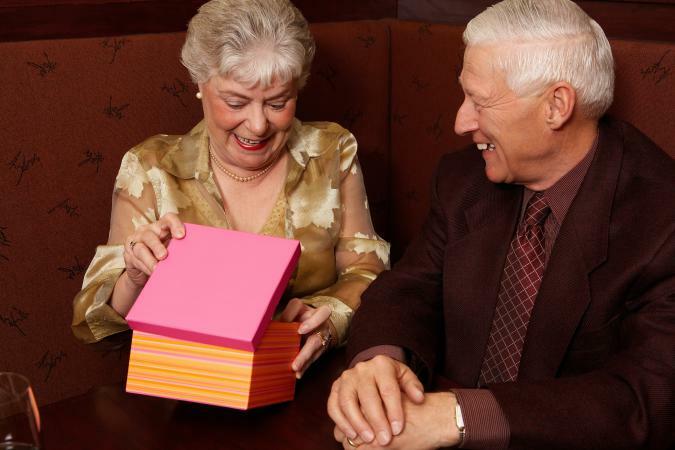 Finding the perfect gift for elderly family or friends can be tough. A lifetime of obtaining items means they may have virtually anything you can think of, and storage space may be an issue. Many times, memories, comfort, practicality, and improvement in the quality of life may outweigh novelty when picking a useful gift for the elderly. As people age, they may feel more compelled to share their legacy with their children and grandchildren. The elderly have fascinating stories to tell, yet many don't know where to start. Keepsake gifts are a great way for them to share their life experiences with future generations. The LifeBio Memory Journal is a 6 x 9 hardcover book with jacket. It contains over 200 questions designed to help someone write their life story. Topics include family history, childhood memories, historical events, life lessons, and religious beliefs, among others. Once the book is complete, multiple copies may be made using LifeBio's website. Each book is about $20 and can be personalized. 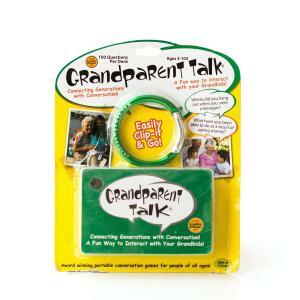 Grandparent Talk is a game for grandparents to play with their grandkids. The game is a set of 100 cards attached to a ring. Each card has a life question for grandparents to answer. It helps connect and cement the bond between generations. It also helps seniors recall memories they may not have thought about for decades. The game costs under $10. This kit from Empire Publishing contains everything a senior needs to record their legacy. It walks them step-by-step through the process and offers a few different formats from which to choose. Upon completion, the memoir is available for purchase on Amazon. The entire process is done on the computer, so this gift is appropriate for people with a good computer and word processing skills. The cost is around $250. According to the American Heart Association, stress may lead to unhealthy behaviors that increase heart attack and stroke risk. These gifts may help the recipient manage stress and support overall health. Per a USA Today report, a 2006 study found people over age 65 who engaged in creative activity had better overall health than those who did not do artistic things. Many coloring books, however, have intricate designs difficult for the elderly to see and color. 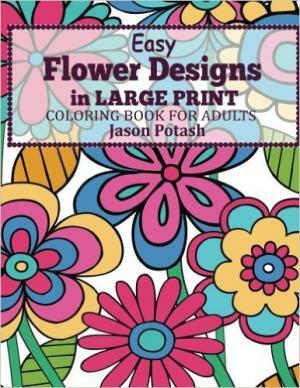 Choose books that have large pictures and basic designs such as this large-print coloring book for seniors. It features 36 large, simplified designs and cost about $10. Children's coloring books are also a great option. Don't forget to include a set of colored pencils or crayons with your gift. Many seniors don't get in the sun as much as they used to, especially those with mobility issues. However, the sun is a great source of vitamin D which helps the body absorb calcium and supports heart health, healthy vision, and a healthy immune system. A lack of vitamin D may cause some mood disorders such as seasonal affective disorder (SAD). Give the gift of year-round sunshine with the only FDA-approved vitamin D lamp. Unlike less expensive sun lamps, this lamp is the only one shown to provide the unique UVB rays your body needs to produce vitamin D. The cost is about $425. The sound machine is battery-operated for easy portability. Its auto shut-off timer can be set for 15, 30, or 60 minutes and costs around $20. Humidifiers help restore moisture and humidity to the air. According to the Cleveland Clinic, a humidifier can help relieve common respiratory problems such as sinus congestion, asthma, allergies, and chronic runny nose, all conditions no older adult should contend with. This cool mist humidifier is a nice option. It has up to 16 hours of continuous operation, an auto shut-off safety feature, and a nightlight. The humidifier costs about $50. These gifts may not be nostalgic, but they'll help anyone elderly in your life manage their day effectively. Even the most active senior has so-called senior moments. Reminder Rosie is a voice-controlled reminder system created to help seniors remember appointments, medication times, and everyday activities. It looks like a large-faced, digital alarm clock. It displays the time, but also allows anyone to record up to 25 daily or weekly reminders or a reminder for any date. The device works in power outages and can be programmed in any language. Reminder Rosie costs about $120. TV Ears is wireless headset device that helps clarify television voices and dialogue. It offers individual control so hearing-challenged people can have the volume up while others listen at a level comfortable for them. The headsets also help diminish background noise and lower audio spikes commonly experienced during commercials. The original analog version costs about $130; the digital version costs around $230. This little gadget is inexpensive yet solves a common problem--lost keys. The device helps you locate missing keys wherever they are within 45 feet. It comes with a base and two marked key fobs. When keys have gone rogue, push the button on the base that corresponds to the lost set of keys. A loud alarm will sound on the key fob. The key finder costs about $30 for a set of two. Many elderly take multiple pills throughout the day. Prescription drug misuse among the elderly is a major concern and may lead to side effects such as disorientation, mood swings, and even accidental death. It may be hard for some seniors to keep track of multiple pills throughout the day. 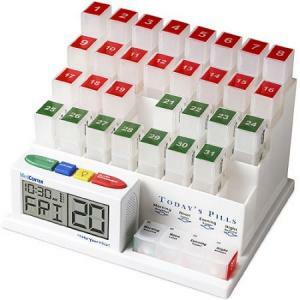 This pill organizer allows them to prepare up to 31 days of medications ahead of time. Each day includes a pill container with options for morning, noon, evening, and night. It also features a talking alarm clock which alerts users its time to take a pill. The cost is about $60. Many seniors struggle with mobility and dexterity issues due to arthritis and other conditions. These gifts can help them get around easier. If someone you know struggles to reach items on high shelves or in low cupboards, an ActiveMate Reacher makes a great gift. It's an extension pole with a grabber that allows users to reach what they want without standing on wobbly stools or bending over. Buy for under $10. A book rest offers relief for seniors who struggle to hold onto heavy books or tablets. This book rest is pyramid-shaped and has four sides. It features two pockets and an attached bookmark. It's available in burgundy, sage, and taupe and costs about $20. The simple act of opening a can may be torture for someone with arthritis in their hands. Help solve that problem with a battery-operated can opener that does the work for them. They'll attach the can opener to the can, press a button, and the can opener self-propels around the can. It even has a magnet that holds the lid in place for easy opening. The device requires two AA batteries and costs about $20. The kit costs about $20. Seniors with diminished eyesight will enjoy receiving these gifts that help them see better. This talking scientific calculator has a large LCD screen for easy viewing. It's just the thing for anyone who struggles to see the numbers or hold a traditional-size calculator. Cost is around $330. Anyone with vision challenges may have difficulty seeing well inside if there's poor lighting in the room, if it's nighttime, or if it's a cloudy day. A broad-spectrum lamp provides the light of a sunny day indoors no matter how cloudy or dark it is outside. This floor lamp stands about 50" tall and has a metal lamp pole with a flexible gooseneck design. It's perfect for hobbyists and helps reduce eyestrain and glare. The floor lamp costs about $60. A lighted hand-held magnifying glass makes it easier to see words in a book, on a menu, or even a play program. The lens contains a bright LED light. The magnifier uses two AA batteries and costs about $25. Many of the elderly have not jumped on the cell phone bandwagon and still prefer traditional button phones. But as they age, the buttons may be hard to see. Problem solved with this big button phone. It has large, easy-to-see buttons and speaker and redial functionalities. It can also be programmed with up to three important speed dial numbers. The phone is wall mountable or can sit on a tabletop and costs around $30. The elderly often struggle with staying warm. These warm and cozy gifts are comforting and can help keep them toasty throughout the year. 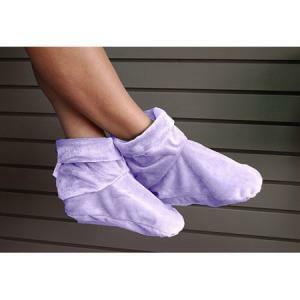 These comfort booties are made of micro plush fabric and contain a soothing aromatherapy blend of flax and 12 herbs. The booties may be placed in the microwave or freezer for warm or cold relief. They're available in charcoal, dark chocolate, lavender, mauve, olive, or slate blue colors. Each set of booties costs about $35. A luxurious heated throw is a snuggly way for someone to curl up in front of the television or in bed. This throw features an auto shut-off for safety and a digital controller with three heat settings. 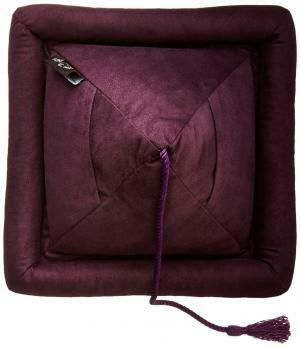 The electric throw comes in a variety of colors and costs around $60. When it's time for bed and a bathrobe is too heavy, yet pajamas aren't warm enough, this bed jacket can fit the bill. Made of velvety-soft velour, it costs about $85. A hot water bottle is a good way to soothe aches and pains or just to help keep you warm in bed or on the go. This leak-free hot water bottle holds two liters of water and comes with a cable-knit cozy. The set costs about $20. These days, the elderly are more active than others. And research shows recreational activities are critical to the well-being and enhanced quality of life of seniors. Giving a gift of entertainment can help keep anyone young at heart. For elderly people on fixed incomes, tickets to films, live theater, and concerts are often beyond their reach. A gift of tickets, especially to see a favorite actor, play, or performer, is often a special gift. 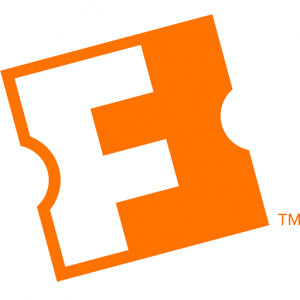 Gift cards in multiple denominations for movies can be purchased from Fandango ‎ and directly from many movie chains. Tickets for current theater and concert offerings can be purchased from Ticketmaster. Prices vary by show. Oversized playing cards are a big help for card players with failing vision. 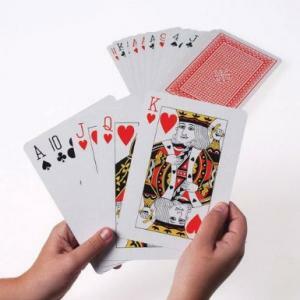 An automatic card shuffler for about $12 or a cardholder for about $9 can relieve stress on arthritic fingers and hands. Simple Pastimes offers a variety of jigsaw puzzles with large pieces and adult themes starting at about $12. These puzzles make it easier for arthritic hands and for those with limited vision. Jigsaws can be used alone but can encourage socialization in group settings. People tend to gather to help put them together. A subscription to an audiobook rental service like Audible.com is especially welcome for someone with vision issues. A subscription, which begins at around $15 per month (the first month is free), can be accompanied by an inexpensive CD player. Audiobooks can also be purchased at most bookstores. Reader's Digest and Guideposts, both inspirational magazine, offer large-print subscriptions helpful to someone who has trouble reading normal-sized magazine print. A gift subscription to a favorite magazine in normal-size is also a great gift for a senior with adequate vision. A one-year subscription for the large-print version of Reader's Digest is around $18. One year of Guideposts large-print costs about $17. You can find puzzle books at any store with a book section for around $5. Barnes and Noble also sells a wide variety including this large-print crossword for around $16. MP3 players provide a lot of music in a very small device. Large screen players like the Riptunes MP3 player cost around $70. A gift of a player with the elderly person's favorite music preloaded, especially if it comes with a promise of regular updates, can brighten an older person's day and makes the player easier to use. Gifts don't have to be expensive or elaborate. It's truly the thought that counts. No matter how much you spend, most elderly people will appreciate that you thought of them. Many elderly feel isolated and lonely because of their inability to drive or because of limited physical mobility. One of the best gifts you can give is your time and attention. Stopping in for a chat and bringing a token gift, such as a favorite magazine or some homemade cookies is often more valuable than a tangible gift.